Adobe was already a big company when it first made Photoshop, but its biggest competitor, Paint Shop Pro, was built by an airline pilot in his free time. The list price for Paint Shop Pro version 3 (which supported Windows 3.1 when released in 1995) and version 4 (which supported Windows 95 when released in 1996). The software was noteworthy at the time for including many, though not all, of the features of Adobe Photoshop 3.0, a program that sold for $895 upon its 1994 release. 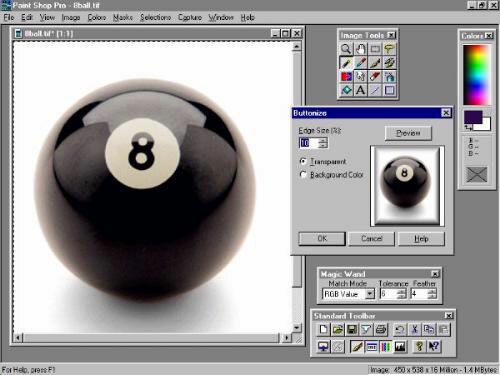 There were a handful of differences between Paint Shop Pro and Photoshop that meant something in the late ‘90s—for example, Photoshop’s longtime killer feature, editable layers, didn’t hit Paint Shop Pro until 1998. And PSP was never a Mac endeavor, which somewhat limited its appeal in the professional design space. But the biggest difference didn’t involve the features of the platform: It involved the people who made it. Adobe was already a large company in 1990 when it released the initial version of Photoshop, and it was on the stock market way back in 1986. But Paint Shop Pro came from completely different roots. Initially, it was the work of a single developer, Robert Voit. A Minnesota-based pilot for Northwest Airlines with a degree in computer science, he was a heavy tinkerer with an interest in imagery. And when he got his hands on Microsoft Windows, he ran into a personal frustration that got him coding: GIF files were common ways of exchanging images on CompuServe (where they had been introduced in 1987) and other services, but they weren’t supported natively by Windows 3.0—meaning that there was no easy way to apply GIFs as wallpaper on Windows desktops. Fortunately, Voit was ready with a solution. He created a converter called GIF2PCX, which allowed images to be saved in the Windows-friendly PCX format, which was supported by Microsoft Paint. From that starting point, Voit moved toward building PaintShop, a $25 multi-format converter featured in PC Magazine in 1991. Soon, the software evolved into Paint Shop Pro. In a 1999 interview with Inc. Magazine, Voit explained that his software, which he effectively made because he couldn’t find a graphics editor that did everything he wanted to do, was extremely inexpensive to make. He kept his day job when he started JASC Software in 1991. (The name, which stands for “Jets and Software Company,” reflected this.) There wasn’t a massive business there at first, just a growing one, and the shareware distribution model kept costs down. All he needed to do to sell it was tell people where and how to pay, buy some stamps and envelopes, and create encryption codes that users could use to get rid of the nag screen. The bulletin boards, FTP sites, and tech-savvy users of the era handled the rest. "I'd go flying, come home, and have a backlog of orders," Voit explained. He didn’t need a lot of employees, either. His first hire, who manned the phones and distributed the codes, came along in 1992. He needed the help: Despite this minimal scale, the software was getting rave reviews which ensured there'd be a lot of work. 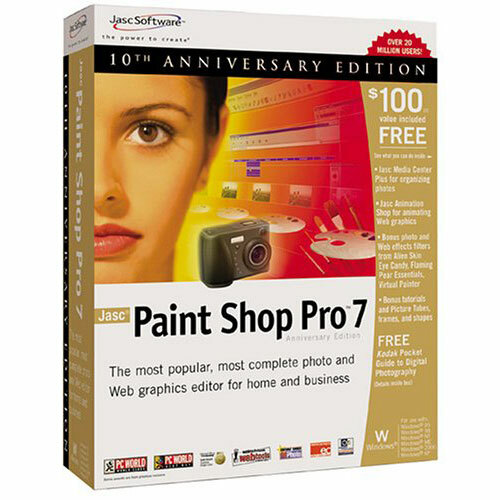 PC Magazine called Paint Shop Pro Version 1.01, which didn’t even allow for bit-level editing of images or support the JPEG format, “a bargain hunter’s dream” for its high functionality and $49 price. “It lacks some of the bells and whistles of other graphics-conversion utilities, but it covers all the basics, does them fast and well, and provides most of the services you’ll find in programs costing three to five times as much,” Barry Simon wrote. Paint Shop Pro version 4.0 for Windows 95. Through smart pricing and smart distribution, Paint Shop Pro had found the perfect niche. Voit had invented “prosumer” software, highly functional tools that were accessible to home users. And despite that tiny scale, PSP had millions of users. Paint Shop Pro, in shrink-wrap form. There are just a few pieces of shareware out there that pulled off what Paint Shop Pro did from a distribution standpoint. id Software’s triple threat of Wolfenstein 3D, Doom, and Quake were so good that they each transcended their shareware status. Epic Megagames’ early titles like ZZT, Jazz Jackrabbit, and Epic Pinball set the stage for a company whose technology is fundamental to modern gaming. And late programmer Phil Katz’s freely distributed but controversial PKZIP spawned a large company that outlived its founder. Robert Voit had one of those apps, and he ended up quitting his job in 1995 to support it. But what Robert Voit did was most impressive, because once he quit his job and reached scale, he decided to rip off the band-aid and turn his back on the model that made his company. That’s right: JASC put a time limit on Paint Shop Pro and started competing with Adobe and other companies using the kind of shrink-wrapped packaging techniques were using. The reason? Per Inc., Voit felt the app had plateaued from a sales standpoint. 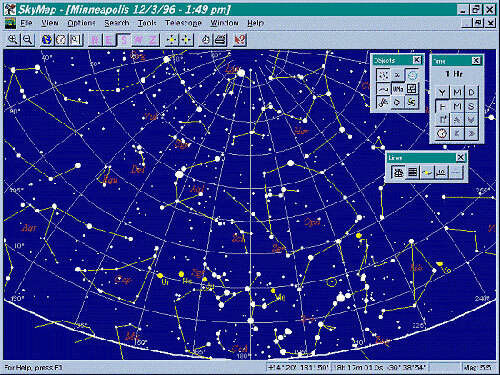 A screenshot of SkyMap, another program JASC sold in the '90s. So JASC turned Paint Shop into just another product you can buy at Best Buy. But it also greatly expanded its ambitions—something highlighted by the growth in its headcount. The company was selling a wide variety of apps by 1997, mostly graphics-related, but also including some intriguing entries like SkyMap, a digital “planetarium” program, and Ornamatica, a program designed to make it easy to create borders. These were apps created by outside developers, but JASC took advantage of the attention it was getting to give them distribution. Paint Shop Pro was still very much the breadwinner—the subject of books, just like the big guys—and the app’s features just kept getting better. But JASC eventually passed the baton to someone else. — Amish Mehta, then the CEO of Corel, discussing the firm’s 2004 acquisition of JASC Software with ZDNet. (The price was undisclosed.) It was one of many acquisitions Corel has made over the years, fitting the company’s recent reputation for being the Island of Misfit Software, due to its tendency to acquire and nurture mature apps. Beyond Paint Shop Pro and its own internally developed software, the firm has also acquired WordPerfect, WinZip, Roxio, and AfterShot, among others. 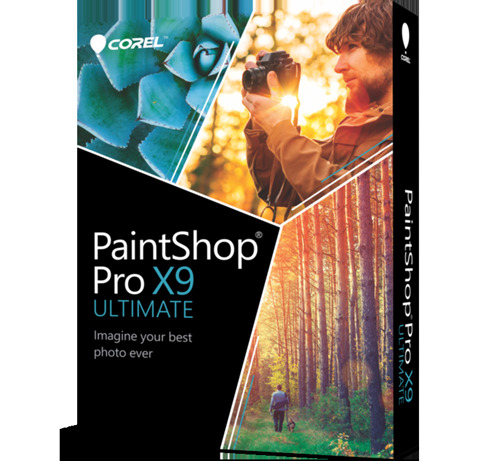 That said, Paint Shop Pro is probably the app that best fits with its most popular homemade offerings, CorelDraw and Painter. 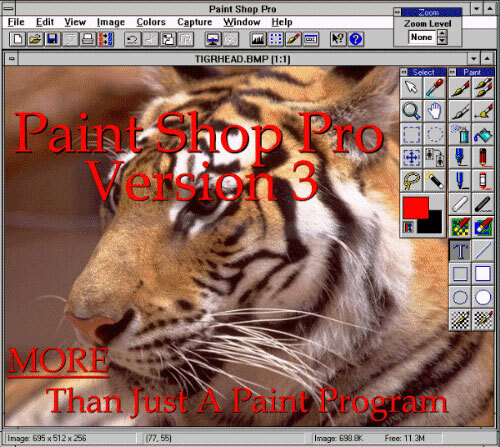 These days, Paint Shop Pro survives, if far from the hands of the Minnesota man who first created the platform. The modern app, even though it’s maintained by developers that had nothing to do with its creation or early development, still gets good reviews from PC Magazine all these years later. Oddly, though, the model has flipped in a way. While still charging high prices, Adobe has taken its software to the cloud, with distribution driven by downloads. Paint Shop Pro, on the other hand, is the one that sells in the shrink-wrapped box. In some ways, Robert Voit’s legacy appears less in the product that evolved from his code than in the weekend developer ethos he inspired, one that appears in the App Store and on sites like Product Hunt. Corel isn’t the little guy, but there are a lot more little guys now than there were in 1992—and plenty of ‘em are coming out on top.